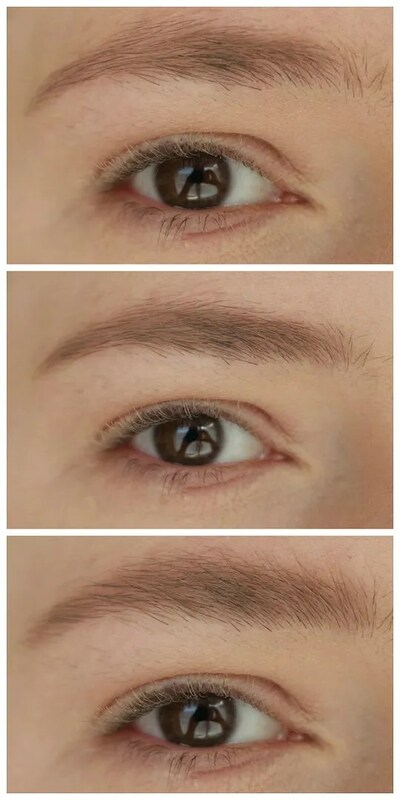 In the new line for fall/ winter 2018 Catrice has released some new brow products. And I had not yet been able to review those for you. I was still in the midst of using up other products, so it took some time to get around to using these. But now that I have been using them for some weeks, I think it is time to share my thoughts on these products. The price point of these products is nicely affordable. There is a pencil that retails for just €2.59 and the brow gel is just €3.89. That is just over a euro more than my beloved Essence Make Me Brow brow gel, which is one of my favorites. So while I am very curious to try these products, they do have tough shoes to fill. The Catrice eyebrow stylist is the first time I have tried an eyebrow pencil that is shaped like a regular pencil that needs sharpening. That is the first thing that made me apprehensive about this product. Would this work? Would it be very hard and difficult to work with? The shade of the pencil looked good though, so I was hopeful when I first tried this. The item that truly made me curious of these two was the brow gel. Because this isn’t just any old brow gel: this promises to tint your brows the more you use it. So overtime this should give your brows a more intense look. It is very reminiscent of Benefit’s Gimme Brow and Essence Made Me Brow though and not so much of the Maybelline Brow Tattoo. 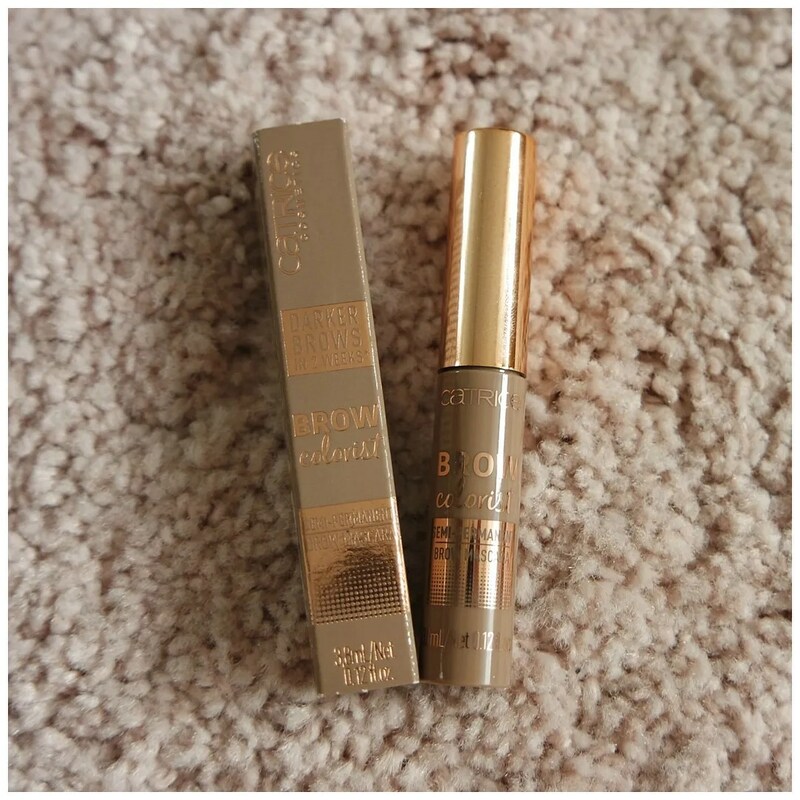 The brow gel comes in a tube much like other brow gels. The wand is very very tiny. 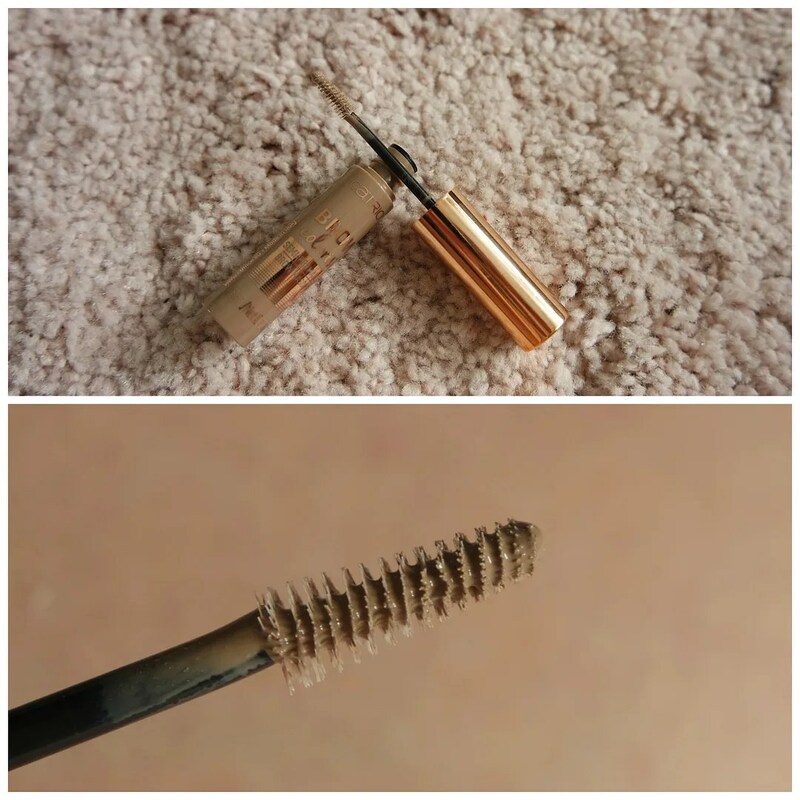 So tiny that it is easy to apply product to all the hairs of your brows. What I don’t like about the wand is the fact that it is rather flimsy. The wand can bend and what happened a few times is when I place the wand back into the tube that I would bump it on the container and it bent the wand into a weird angle and I was afraid it would break. As you can see both of these products look very cool toned: perfect for a brow product. 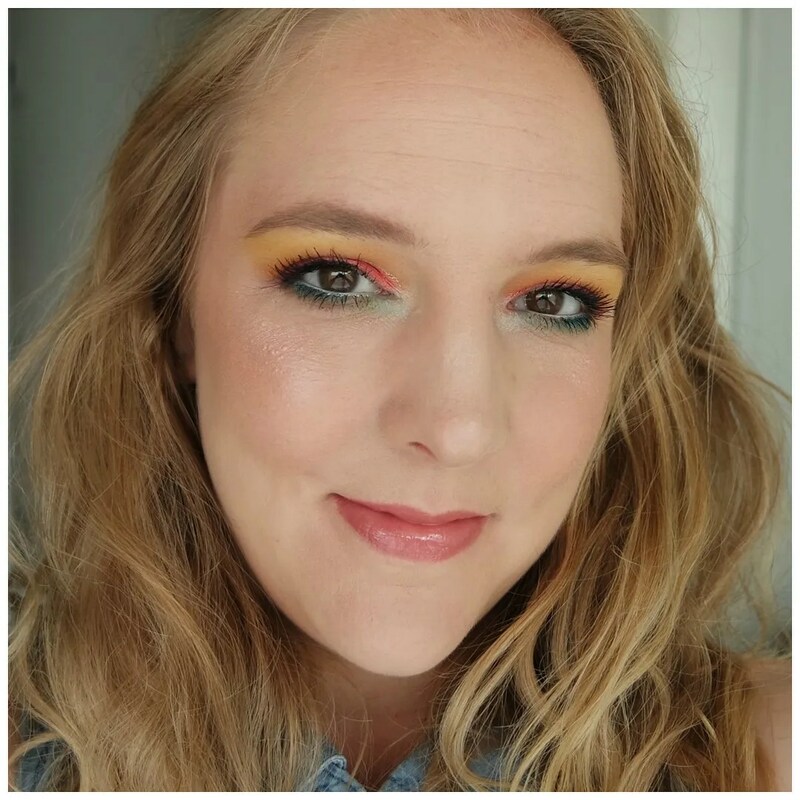 A warm toned brow product is usually not right for me as it doesn’t match my natural brows all that much. The pencil looks a bit powdery which will mean the brow will end up looking filled in but less defined. The brow gel looks quite wet and while that doesn’t have to be a problem, I have some issues with this product too. The picture at the top is my brow without any product in. The picture in the middle shows the application of the brow pencil. While it looks okay in the picture, now that I have used the pencil for a few weeks, I think it looks a bit too cool toned and grey on my brows. The tip wears down quickly and I feel I have to sharpen it continuously to ensure a good enough result. The pencil is not hard as I had expected though and it will certainly last longer than most twist up pencils. The last picture includes the effect of the brow gel. As you can see, the gel nicely defines my brow hairs, but since the formula is very wet, you do have to be very careful with your application. This easily transfers onto the skin before it is fully set and I have had many times where I was left with a taupe colored smudge along my brow line, which was then difficult to remove. 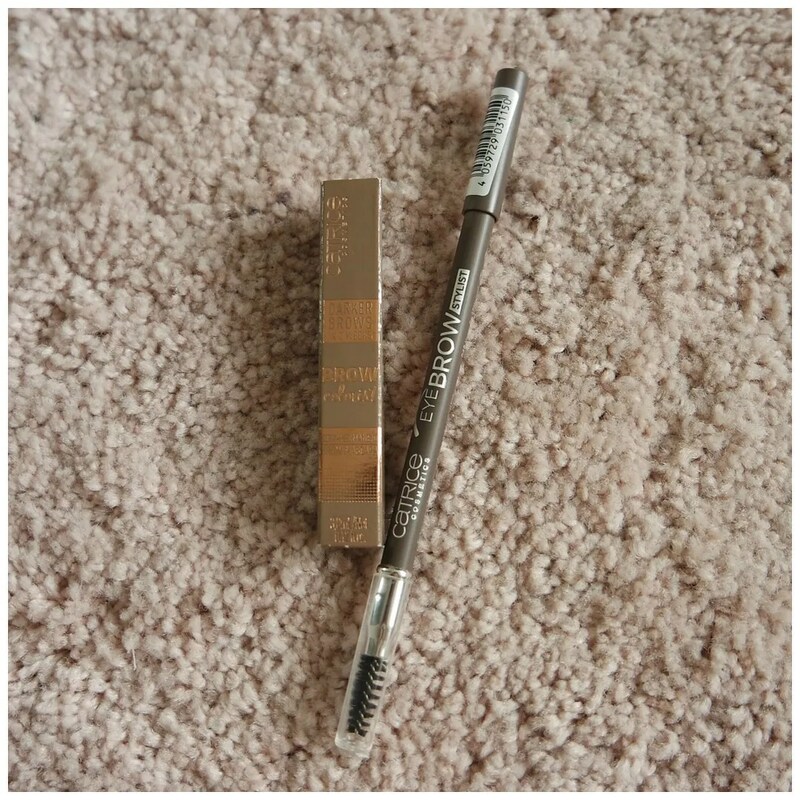 Additionally, I think this product changes consistency rather quickly: it has become a bit thicker and with that clumps have formed which get stuck in my brows and stick individual brow hairs together. Easily remedied with a spoolie, but not necessarily something I want to do every day. What’s more, this product does not tint your brows over time. Maybe this is too light for my natural brows, but I feel it doesn’t have that longwearing effect. 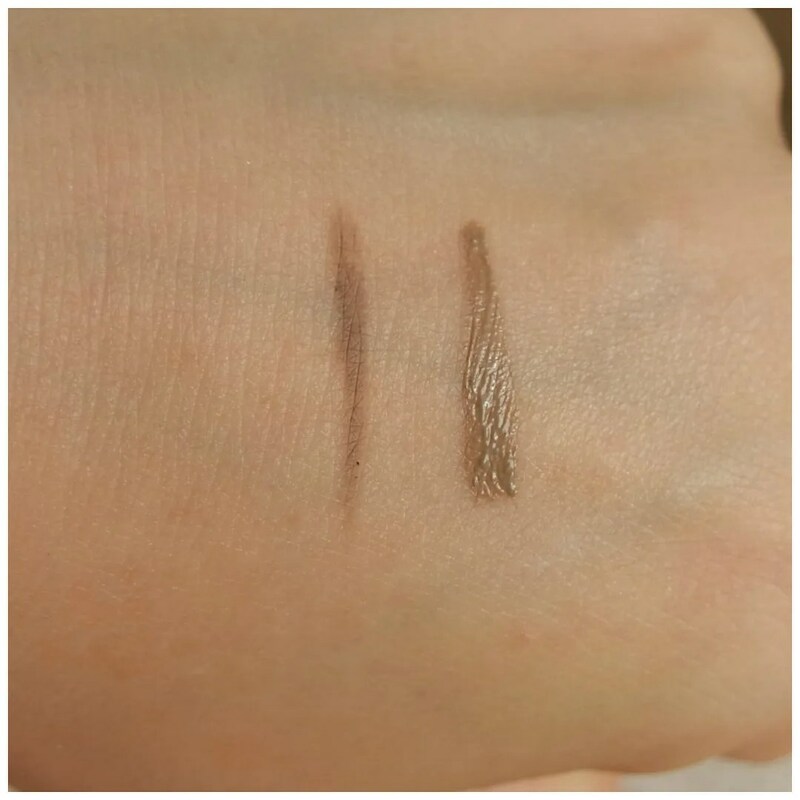 The Catrice Brow Colorist and Eyebrow Stylist are good brow products, but they didn’t wow me in the long run. I like the pencil, but I find it a bit too light and ashy for my tastes. 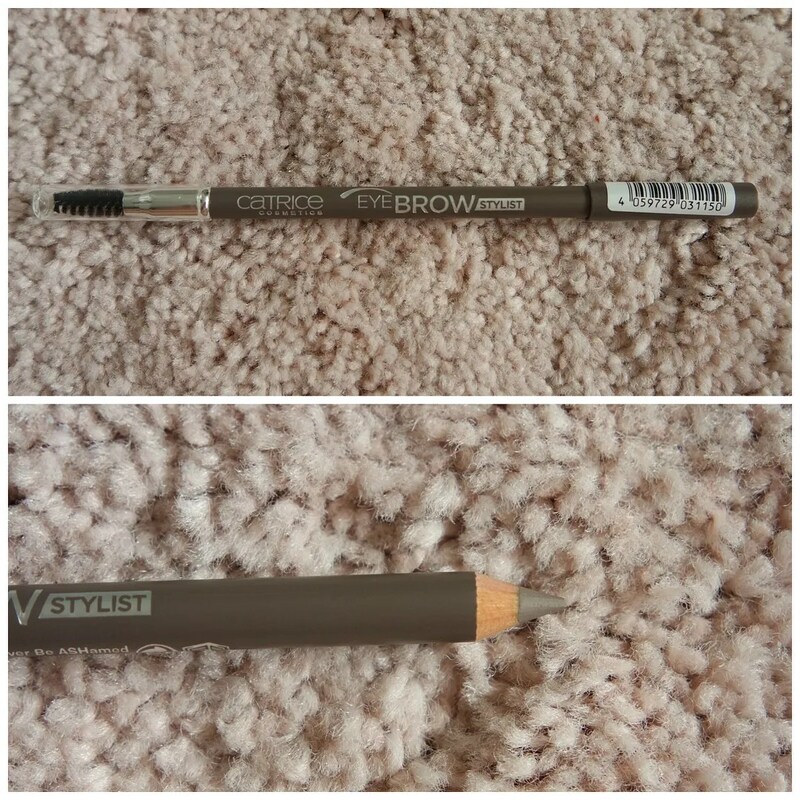 The brow gel is a good product and surprised me the most, but I do find it clumps up too quickly. You cannot use it up before it will thicken and become more difficult to use. That being said, these are still good products, that, if you are in a pinch or are on a budget, are still worth giving a shot. What affordable brow products would you recommend? I even won’t buy this. It is not terrible, but it isn’t great either.